NOTE: This reversible lens hood is compatible with all 58mm lenses. 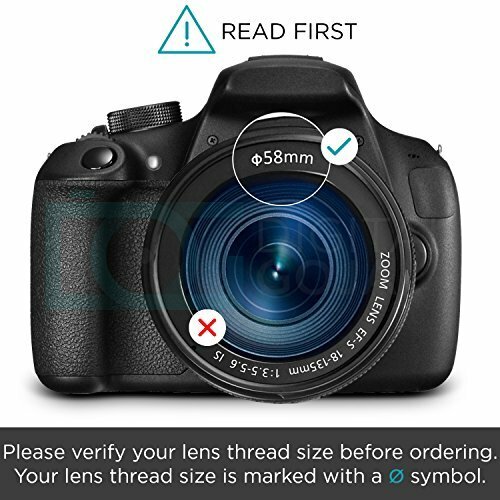 Please verify your camera s lens thread size before ordering. Your camera s lens thread size will be marked somewhere on the lens barrel or printed underneath your lens cap. This number is always preceded by a "Ã˜" (diameter) symbol. For example: Ã˜58 = 58mm lens thread size. Common 58MM lenses include: 28-80mm , 28-90mm , 28-105mm , 55-250mm , 70-300mm , 75-300mm , 100-300mm , 50mm 1.4 , 85mm 1.8. Please note that the lens hood may cause slight vignetting on the 18-55 lens when zoomed out to the widest angle. This occurs with all universal hoods on the 18-55 at the widest angle. New and Improved Design for May 2013! We ve heard all your feedback and designed a great new lens hood. See product description below for details. 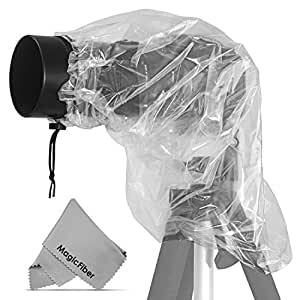 The only universal lens hood on the market that lets you use a lens cap while having your hood mounted. 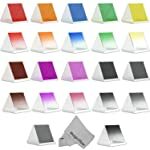 Backed with DigitalGoja 90-Day 100% Satisfaction Guarantee. 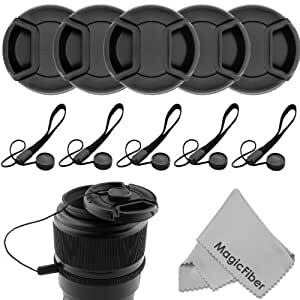 If you re not completely satisfied with your lens hood we ll take it back for a full refund. Goja T3 is available for 1,364 Rupees on Amazon India. This price is vaild for all major cities of India including Delhi, Mumbai, Kolkata and Chennai. The latest price of Goja T3 was retrieved on 19th April 2019. 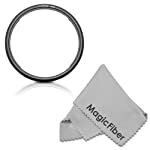 Feature NOTE: This reversible lens hood is compatible with all 58mm lenses. Please verify your camera s lens thread size before ordering. Your camera s lens thread size will be marked somewhere on the lens barrel or printed underneath your lens cap. This number is always preceded by a "Ã˜" (diameter) symbol. For example: Ã˜58 = 58mm lens thread size.